When it comes to medical cannabis, THC and CBD are the well-known cannabinoids that typically get all the attention. Here’s the thing though: increased cannabis research has led to some new discoveries about the benefits of several phytocannabinoids found in cannabis. And as it turns out, CBD and THC aren’t the only cannabinoids that are therapeutically beneficial. 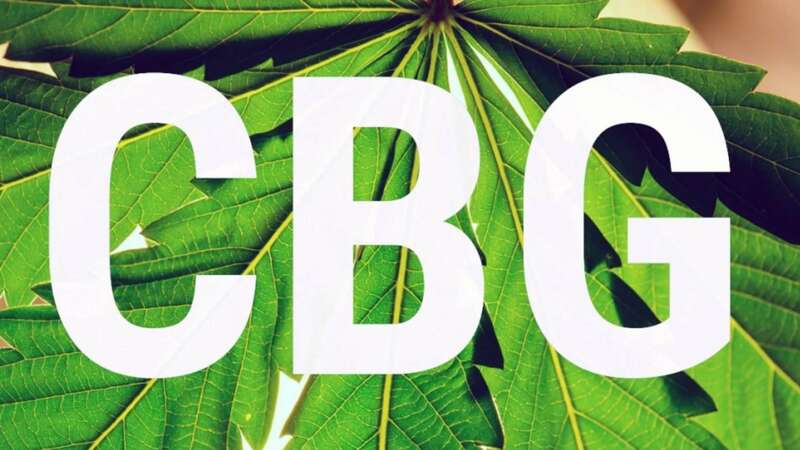 Let us introduce to you CBG and THCV, two cannabinoids that could become the next big thing when it comes to cannabis. Let’s take a deeper look at each to get a better understanding of why these particular cannabinoids are catching increased interest in the medical cannabis community. While classified as one of the minor cannabinoids, CBG could be one of the most important cannabinoids that exists. In the cannabis plant, CBG exists as CBGA (cannabigerolic acid), which is actually the foundation of the three main types of cannabinoids: cannabidiolic acid (CBDA), tetrahydrocannabinolic acid (THCA), and cannabichromenic acid (CBCA). CBGA, you could say, is the mother of all cannabinoids. CBGA (and other cannabinoids in their acidic state) must go through the process of decarboxylation to become “activated.” Once CBGA is decarboxylated, it becomes CBG, which research indicates has some serious therapeutic potential. A paper published in the British Journal of Pharmacology by Dr. Ethan Russo, neurologist, psychopharmacology researcher, and Director of Research and Development at the International Cannabis and Cannabinoids Institute (ICCI), took a deeper look into the synergy of various phytocannabinoids and terpenes found in the cannabis plant. When it comes to the therapeutic benefits found in CBG, it might as well be on par with well-known cannabinoids CBD and THC. What exactly makes CBG so beneficial? For one, CBG has shown potential to be an antidepressant, antifungal, and pain reliever. While cannabis research is still fairly limited, research that has been done on CBG shows serious promise. A 2015 study, for example, found CBG is an extremely active neuroprotectant and shows great potential for the treatment of neurodegenerative diseases, such as Huntington’s disease. A 2009 study found that CBG may have therapeutic potential for the treatment of glaucoma. In 2013, a study found that CBG has a powerful effect on inflammatory bowel disease, an incurable disease that affects millions of people in industrialized countries. Research also indicates that CBG contains antitumor activity against carcinoma cells. Like CBD, CBG is non-psychoactive, meaning it won’t get users high. 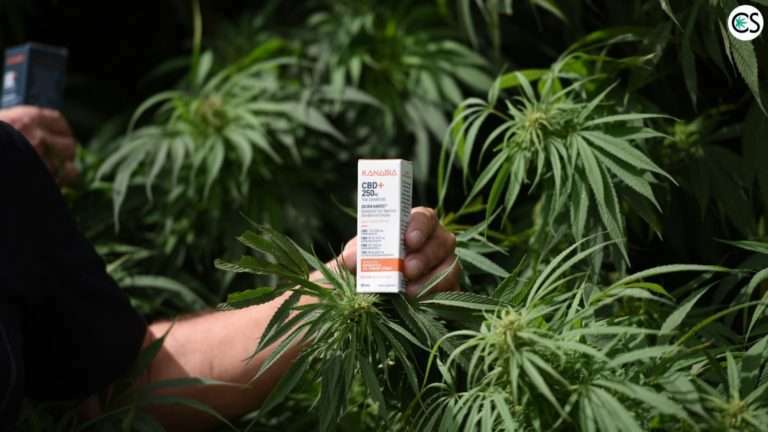 Another cannabinoid poised to become “the next big thing” in cannabis therapy is THCV. What exactly is the difference of the high of THCV compared to THC, though? A 2015 pilot trial study aimed to explore the safety and tolerability of repeated THCV administration and its effects on symptoms normally induced by THC. 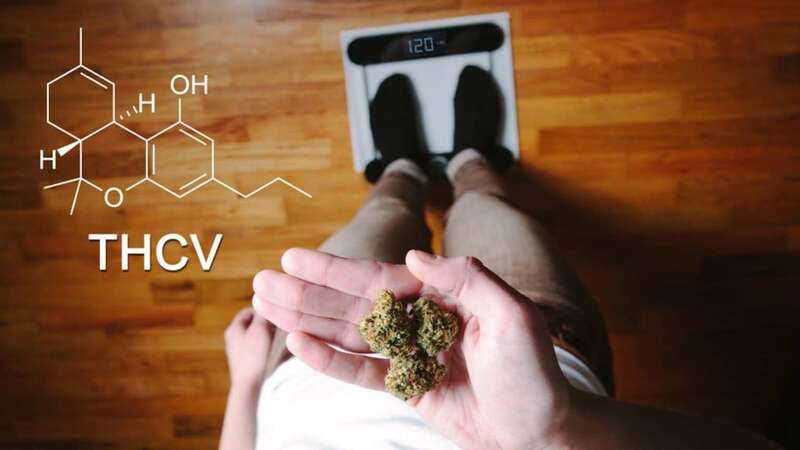 It found that THCV could have a positive influence on some of the negative effects some people experience when smoking strains of cannabis high in THC, such as anxiety, paranoia, or impairment of short-term memory. THCV also inhibited the increased heart rate that is often a result of THC. Something else about THCV very unlike THC? Rather than stimulating appetite, this cannabinoid has been shown to suppress the appetite. Want to lose weight? Maybe try using high THCV products instead of THC. What about the therapeutic benefits of this up and coming cannabinoid? As it turns out, THCV contains quite a few. While studies on THCV are limited, preliminary research shows that it could contain some serious therapeutic potential. A 2011 study, for example, found that THCV was able to reduce motor inhibition and provide neuroprotection in animal models of Parkinson’s disease. THCV shows an ability to activate CB2 receptors, while blocking CB1 receptors, something that researchers says holds promise for delaying the progression of Parkinson’s disease, as well as improving symptoms associated with the disease. A 2012 study also found THCV to decrease oxidative stress and inflammatory responses. Honestly, we’re beginning to wonder if there’s anything cannabis can’t do. While well-known cannabinoids CBD and THC are beneficial on their own, when cannabinoids work in synergy, the effects are even greater. 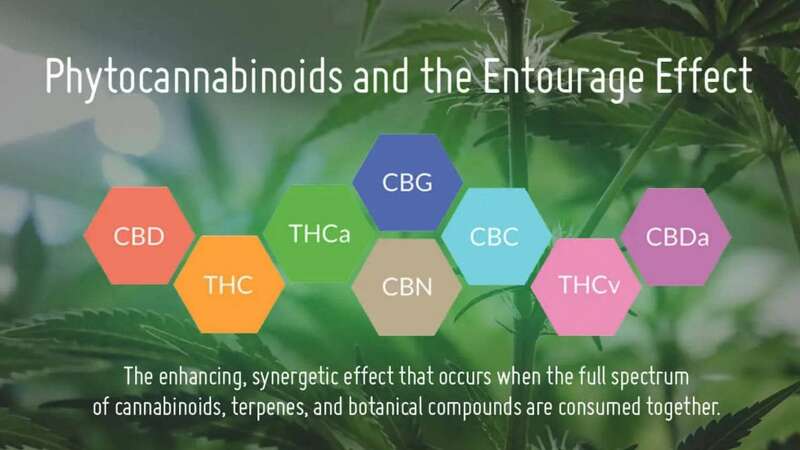 This synergy is known as the entourage effect, and in order for cannabis to really work its medicinal magic, the power of compounds found in the entire plant is much, much more intense. These days there are countless companies selling CBD. Not many, however, are selling products that contain significant amounts of other beneficial cannabinoids such as CBG and THCV. There are some, though. Kanabia is one of them. And they might just revolutionize the CBD market forever. 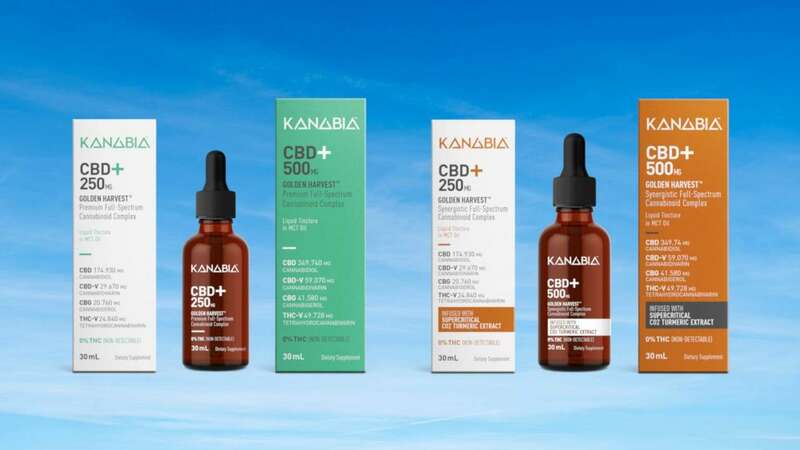 As one of the only companies offering true, full spectrum CBD products, Kanabia products are sourced from pure, organic hemp, bred specially to provide the fullest and most potent range of cannabinoids you can find. With a higher potency of any other CBD product on the market, Kanabia is the first to offer CBD with THCV. While most CBD companies offer a “full spectrum” oil, many are missing out on cannabinoids like CBG and THCV. 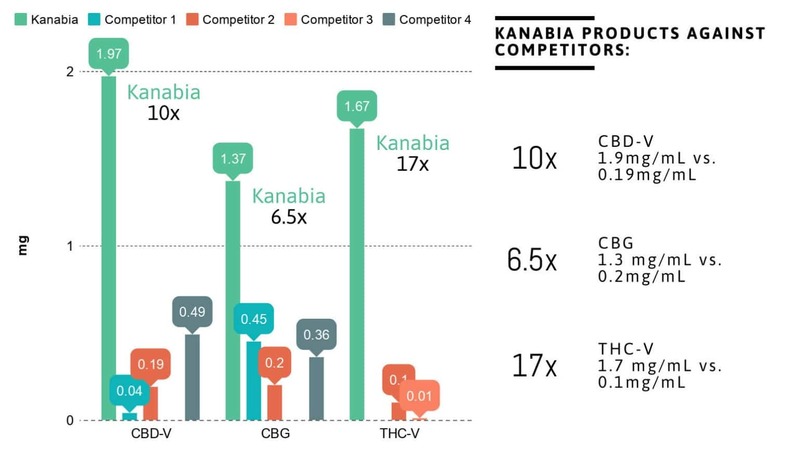 Kanabia products contain 17x more THCV and 6.5x more CBG than any other CBD products available on the market. For one, a wider range of unprecedented therapeutic benefits. Increased research has led to the understanding that various cannabinoids are responsible for several different therapeutic applications. When combined together in the “true” full spectrum CBD oil Kanabia offers, you’re simply increasing the therapeutic potential you receive. In ancient Greek mythology, Nike was a goddess who personified victory. 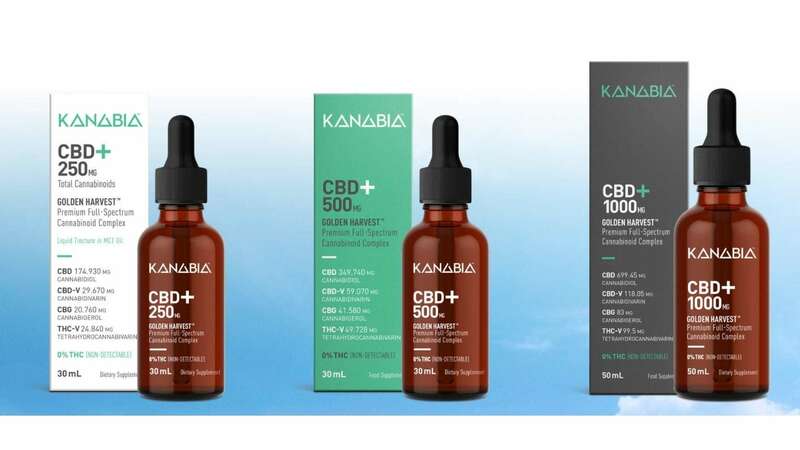 Kanabia considers themselves the Nike of CBD. Why? Because their CBD products are truly some of the highest quality you can find. Like the famous Nike brand, Kanabia is consistently innovative with the development of their company. 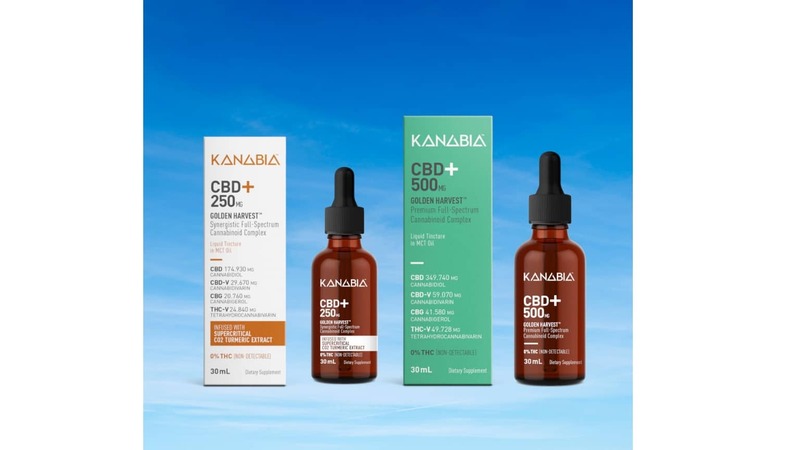 Dedicated to offering the highest-quality CBD products with a higher potency of that of their competitors, Kanabia truly sets themselves apart from the competition. What Makes Kanabia Different than Other CBD Companies? What’s more is Kanabia was created by the “hemp godfathers” and founders of organic foods in North America. Needless to say, the team behind Kanabia knows a thing or two about cannabis, organic food, and running a successful business. Kanabia was founded by three extremely prominent individuals in the health and wellness industry. Let’s take a deeper look at the background of the team behind Kanabia. Alex Chwaiewsky not only fought the Canadian Government to legalize industrial hemp and won, but also co-founded Manitoba Harvest, a company that sells hemp hearts at Costco that sold for $132.5 million. Jerry Zeifman is the President of Organic Traditions, which sells products in over 40 countries worldwide. Zeifman also has over 50 years of experience in the cannabis industry. Preet Marwaha is the CEO of Kanabia and was the first person to import raw coconut water into North America. Marwaha is a consultant and speaker for the UN, as well as a nutritional coach for Olympic athletes, NHL players, and other professional athletes. This prominent team is actively working with universities and researchers to develop their line of high-end CBD products that are far different from anything else available on the market. 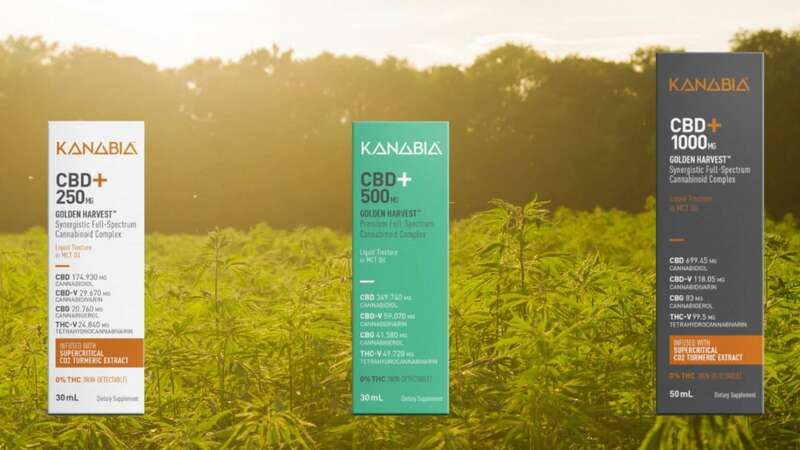 Made with a true full spectrum blend of cannabinoids and more CBG and THCV than any other CBD product available, Kanabia is poised to become a leader in the CBD industry. Their hemp geneticist also has four co-patents on their unique extraction process. With new research constantly coming out about cannabis and the compounds it contains, the industry as a whole is rapidly changing. In order to stay up-to-date with these consistent changes, companies must employ the latest research to offer the highest-quality products they possibly can. CBD is one thing. And we know how beneficial this non-psychoactive cannabinoid truly is. But we’re truly only in the beginning stages of a brand-new industry. Sure, cannabis has been used for thousands of years but it’s only now that we’re beginning to understand the true therapeutic synergy of the compounds of which it’s comprised. Kanabia is a company that understands just how important a true full spectrum product is. And that’s exactly why they offer something different than anything else on the market you’ll find: Full spectrum CBD rich in beneficial cannabinoids CBG and THCV. Kanabia is proud to offer the most complete range of cannabinoids for a full range of health benefits. With an assistance program (40% OFF) for military, students, disability, low-income status, and public safety workers – Kanabia’s goal is to bring top quality and affordable cannabinoids to all. Enjoy FREE shipping to the United States! Wow, didn’t realize even that other cannabinoids. I take CBD but I feel like it kills my sense of self, of personality. Maybe that’s why I felt so good when I took it together with THC. Very interested in trying these other cannabinoids. I’ve been using Lazarus’s 750 mg full-spectrum together with smoking flower. It’s been better than most the ones I got from local dispensaries. My Kanabia order actually just arrived. Tried the 1000 mg and I think I’m noticing a difference. I do feel clearer headed with it, like my personality is there – even amplified. That’s without smoking flower. After smoking flower I feel super sharp and clear minded. Thanks for the recommend! You got it, Chris! 🙂 Thanks for providing your feedback! What’s your guys experience with CBG & THCV? Curious to try them. by far more superior than anything else on the market ive tried. I’ve been using their stuff for a month. Couple of things i’ve notcied. back pain is reduced 80 percent. i think its the THCV but I have burst of clarity throughout the day, hard to explain..but i like it. Everyone should give this a try.